With so many different types of window treatments available — from classic wood blinds to modern woven wood shades — it’s common for these hard window treatments to stand alone. Many of our customers here in the Lake Ozark area like to add a little softness and depth to their blinds or shades with custom drapery. 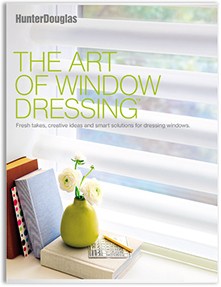 With a seemingly infinite number of fabric and pattern options, draperies and top treatments allow you to add a very unique decorating style to your windows. 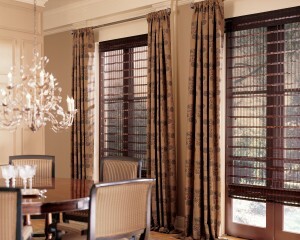 At Windows & More, we offer custom drapery services as well as the complete Hunter Douglas line. Here are some ways to combine draperies and top treatments with various Hunter Douglas window treatments. Made from natural woods, reeds, bamboo and grasses, Woven wood shades allow light to softly filter into the room. 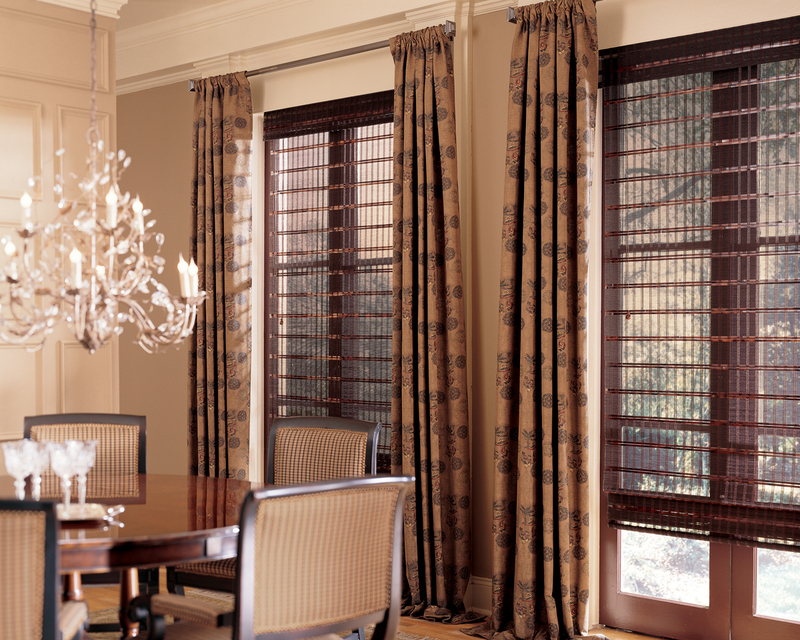 The natural look of woven wood shades provides casual ambiance that goes with any decor. Wood blinds are popular for their natural beauty. With adjustable louvers, wood blinds can be tilted to allow as much light as you would like in the room. Their somewhat heavy appearance, though, can come off looking stark. As the most energy efficient window treatment on the market, Duette honeycomb shades provide a clean appearance in your window.